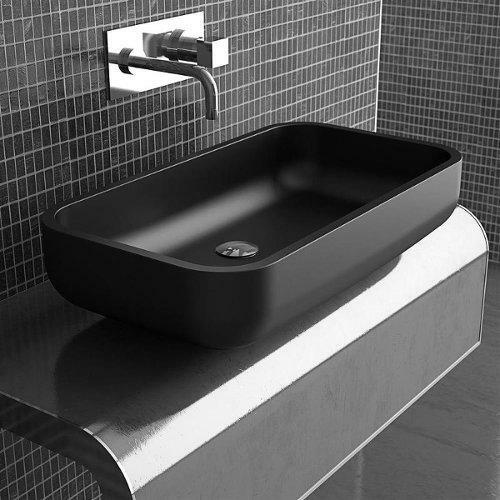 PLAY countertop washbasin in VetroFreddo®, with rounded rectangular profile. 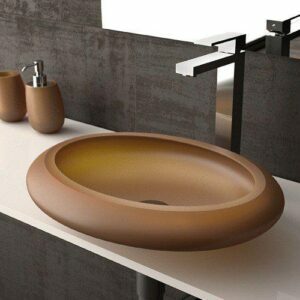 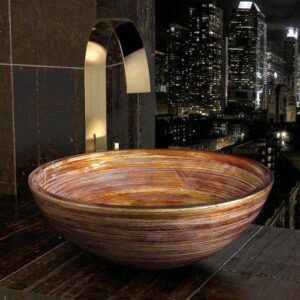 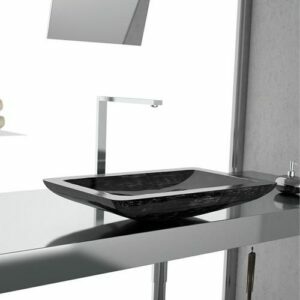 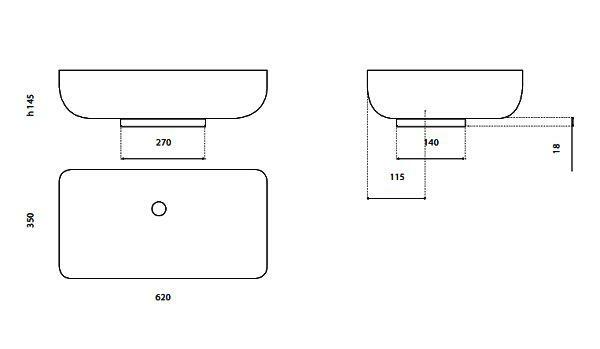 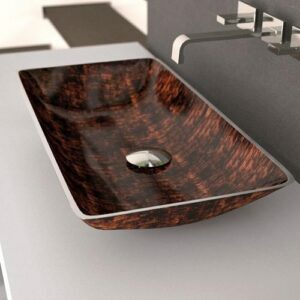 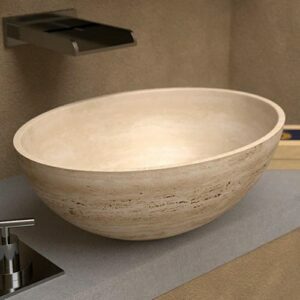 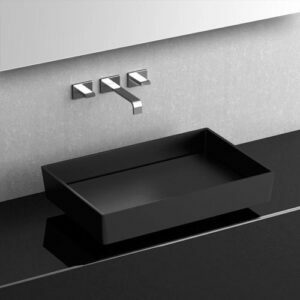 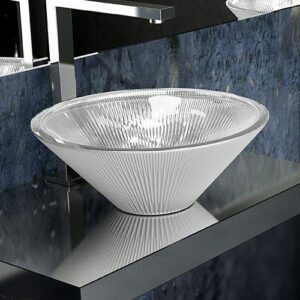 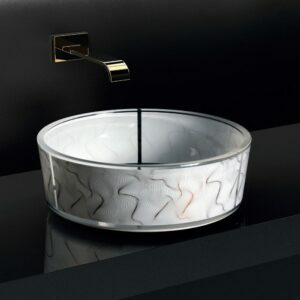 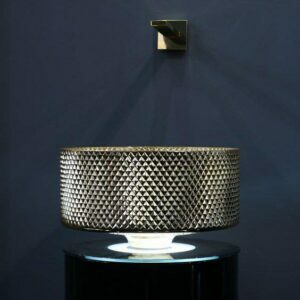 Washbasin of consistent thicknesses, with raised base, is giving a leap to design, easening cleaning at the same time. 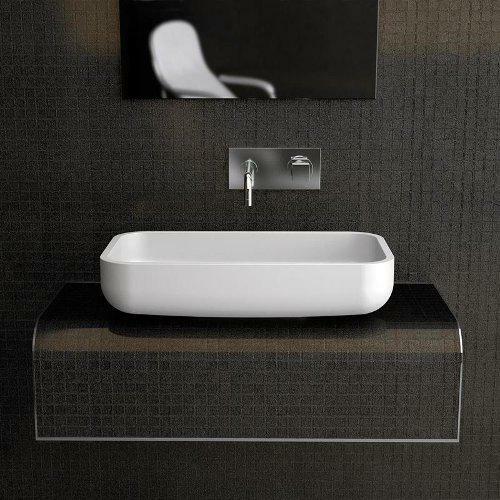 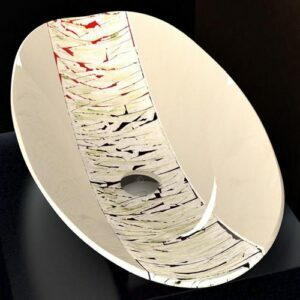 Two different chromatic solutions white and black, in mat or glossy finishes.